It’s September, which means it’s apple season! 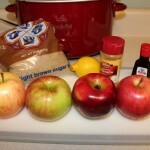 We will be doing a lot of apple activities this month for preschool. 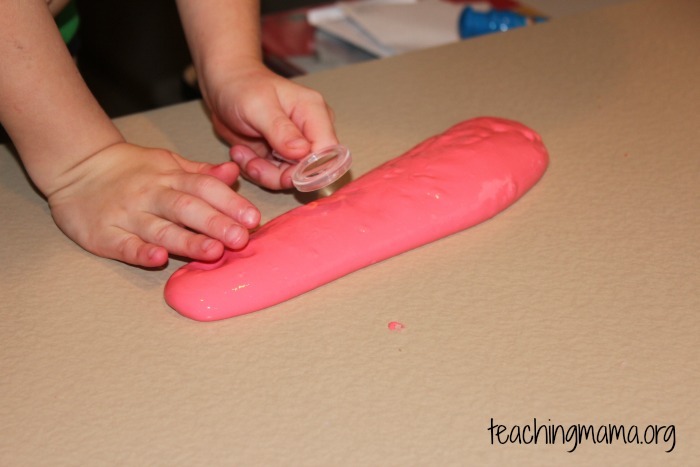 One new activity we just did was making and playing with apple-scented slime! It was fun and easy to make! 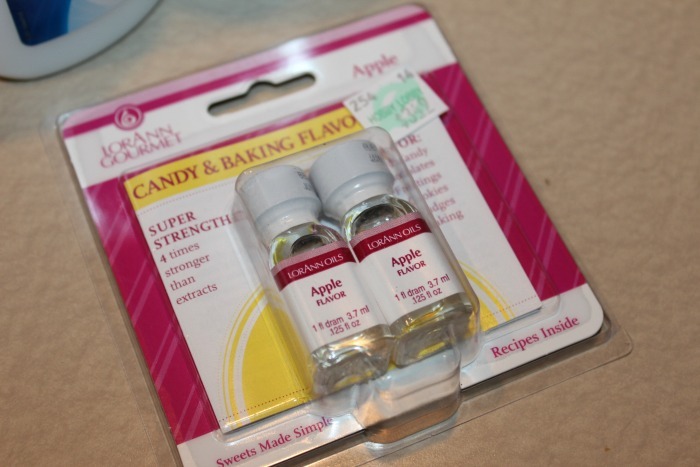 I used apple flavor that I found at Hobby Lobby (in the cake section). 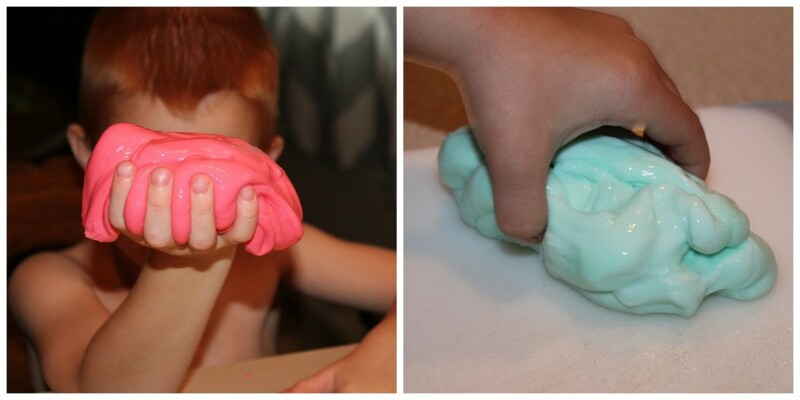 We made two colors of apple-scented slime: red and green! 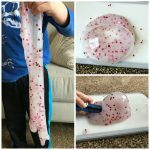 It didn’t take long for the boys to start exploring and playing with the slime! 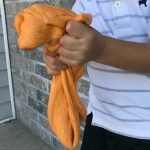 They were obsessed with playing with this slime. It smelled great and it felt awesome. 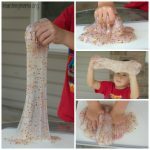 I think it’s a great sensory activity! 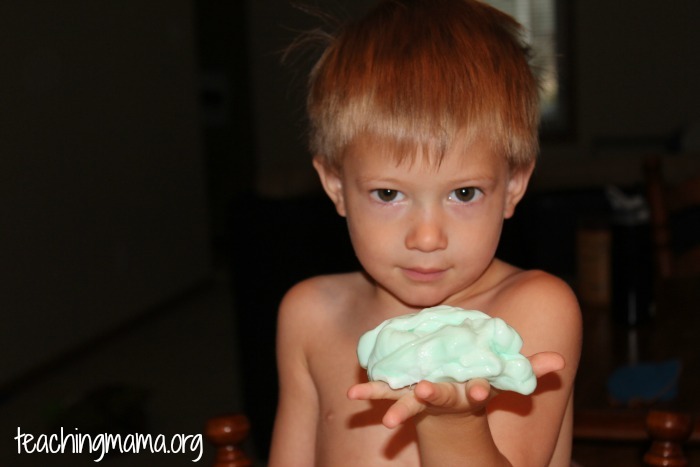 Wes loves the color green, so of course he played with the green slime! After playing with it for a while, we decided to mix the two colors together! 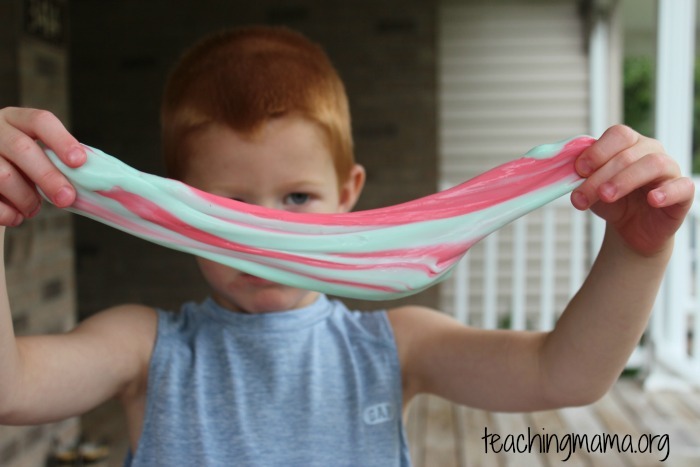 I love the swirled slime look! 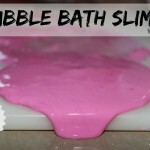 At the end of the day, the colors just ran together to make a pinkish colored slime. Still a lot of fun to play with! 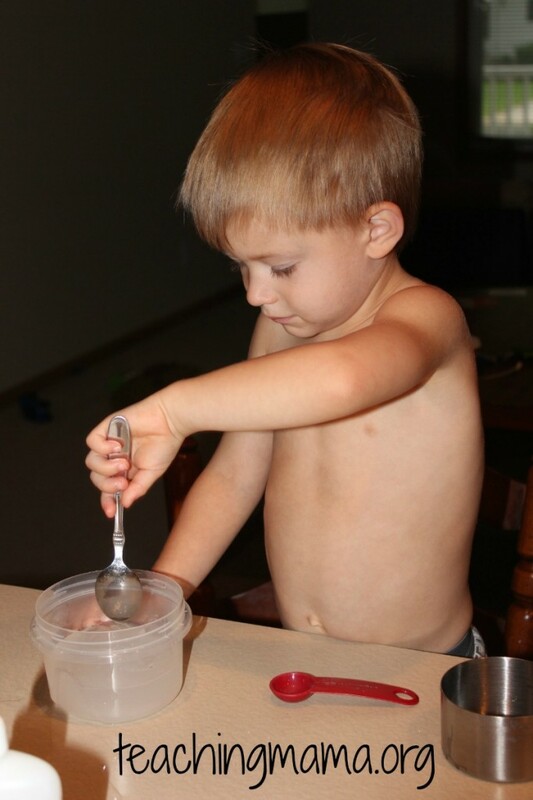 We stored it in an air-tight tupperware and have played with it several times since making it. It was a fun-filled activity and I hope you’ll try it out! 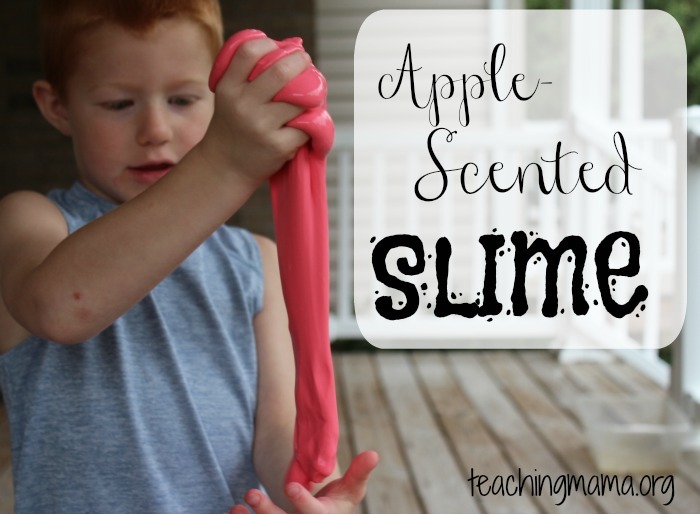 Apple scented sensory play is always a hit this time of year! I bet that smells yummy! Featured this on Mom’s Library! How much apple flavoring did you use? 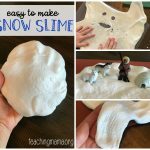 I used one whole bottle for each slime I made. Hope that helps!